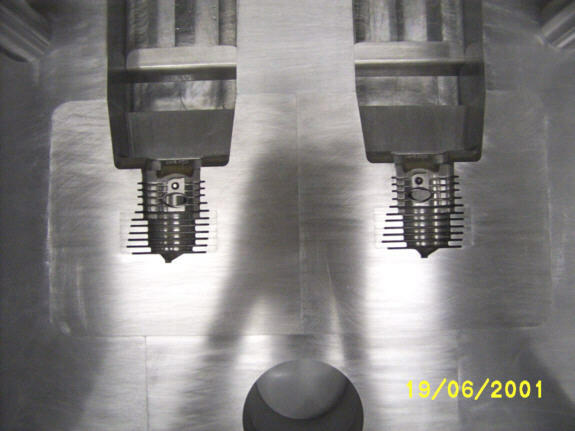 Below are some examples of molds manufactured by KB Duplicating. 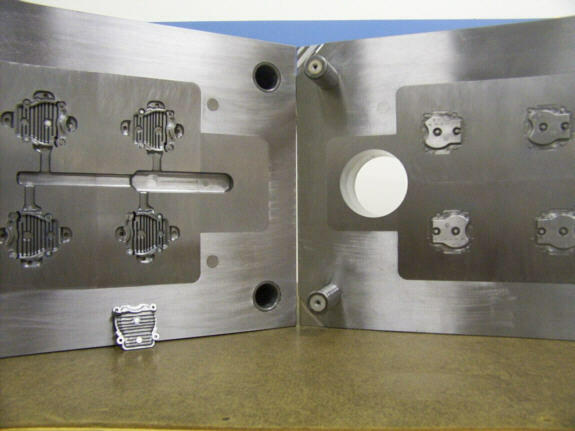 The image above shows a mold for creating a small engine side cover die casting. 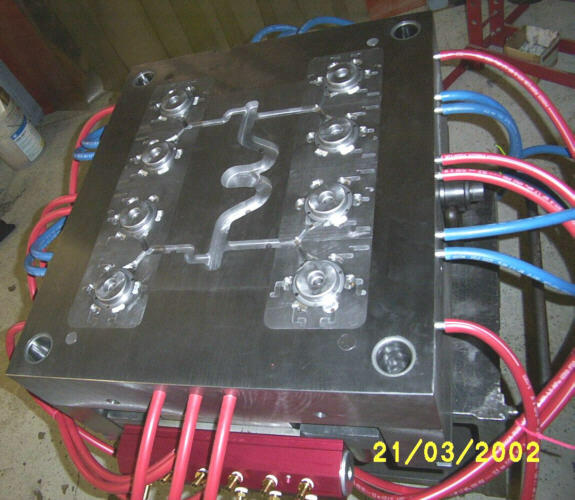 The images above show both sides of a mold for creating a small engine cylinder die casting. 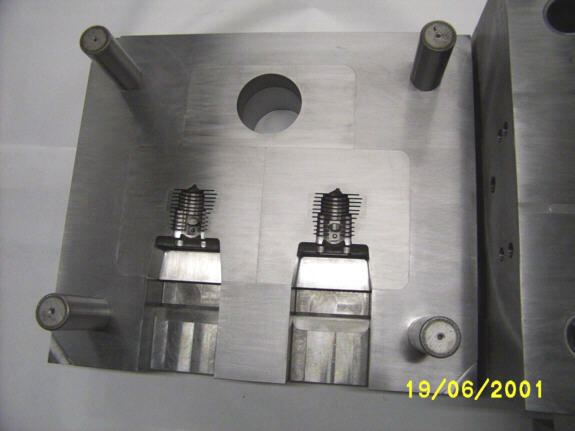 The image above shows a mold for creating a clutch component die castings. 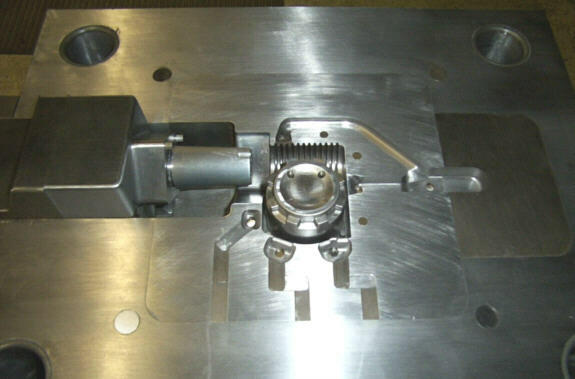 The image above shows a mold for creating a gear housing die casting.